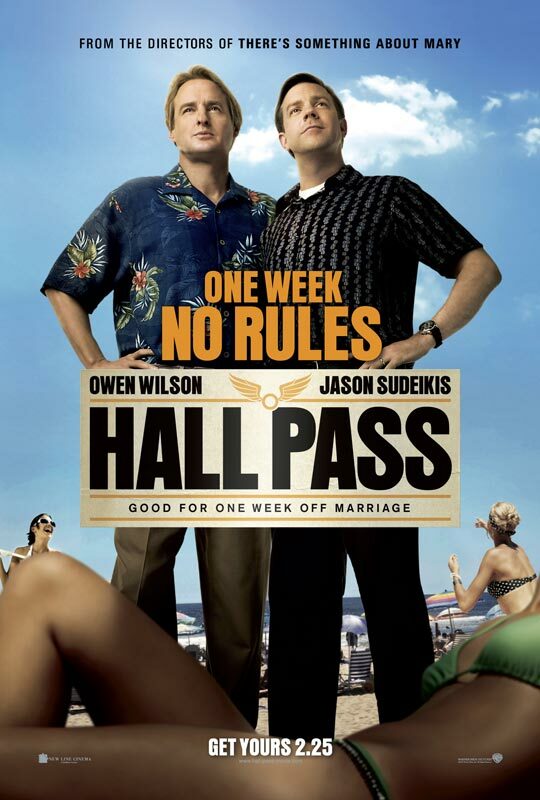 Feeling run down by married life two best friends, Rick (Owen Wilson) and Fred (Jason Sudeikis), both manage to irk their wives to the point they’re each granted a “Hall Pass”– seven days of permission to live as though they’re not married. With this new freedom the two set out to live it up, partake in the singles scene, and attempt to re-live their more youthful days. Meanwhile, wives Maggie (Jenna Fischer) and Grace (Christina Applegate), convinced their men won’t really get into that much trouble vacation upstate; but, when temptations on both sides start to arise will the couples ultimately have the strength to reunite at the end of the week? Directed and partially written by known comedic veterans Bobby and Peter Farrelly (There’s Something About Mary, Dumb and Dumber, and Shallow Hal) the film aims to provide lots of laughs, and, I’ll admit there’s quite a bit to laugh at here. But let’s be clear about this, this is a more sinister comedy, and similar to their previous films, a lot of the film’s humor is pretty blue and crude and therefor not everyone’s cup of tea. But then again, comedy for all ages and sexes is a tough chord to strike. That being said, I laughed more than I expected to, and it’s not as though the production or acting of the film is sub par, in fact, I was pleasantly surprised. Maybe a matinee for those looking to get away from the Oscar drama this weekend. Hall Pass is rated R.
Insurance man Tim Lippe (Ed Helms) from Brown Valley Wisconsin has a paradigm shift when he’s sent to Cedar Rapids to represent his company at an annual insurance convention. You see, Tim is practically a man-child, he’s never really been out of Brown Valley, never flown on a plane, never really gotten loose. Now at the convention Tim has specific instructions on how to win the coveted Two Diamonds award for his company. But, when a group of unlikely convention regulars (John C. Reilly, Anne Heche, and Isiah Whitlock Jr.) take him under their wings, hopes of the award start to slip away, or do they? And what’s the bigger lesson for Tim? Highly improvised comedy that consistently hits the mark time and time again makes for a smart and entertaining watch; a feel that also lends to characters with genuine heart and something we can all identify with. Director Miguel Arteta has carefully crafted a film based on authentically flawed individuals that ultimately gives us the bitter and the sweet, a handful of emotions that make us human. 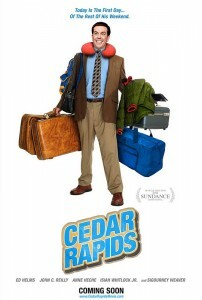 One of the funniest films I’ve seen in a long time and worth your time. Cedar Rapids is rated R.
Walking amongst us earthlings are a select few warriors from a planet far far away. Warriors that posses amazing super powers and strength who will ultimately be responsible for saving earth from a different breed of evil aliens. John (Alex Pettyfer) is one such warrior who is just learning to harness his powers; meanwhile, the evil Morgadorians are hot on his trail, their mission is to destroy John and all of his kind. Now it’s up to John and his friends to defend themselves and progress towards saving earth. 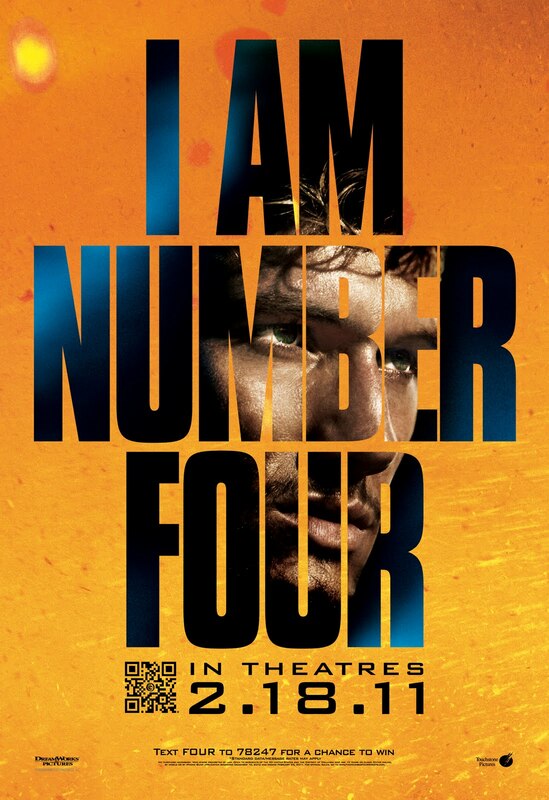 Set up like every other formulaic teen action/super hero/adventure film series, I Am Number Four is so textbook in its plot it’s mind numbing. Within about the first 15 minutes you know everything you need to know and then you’re left to watch the whole thing play out for another hour and forty minutes– which feels like three hours. Clearly done on a lesser budget, the production quality feels greater than the syfy channel but less than Hollywood, overall so so. Happy Birthday to Executive Producer Michael Bay who’s celebrating a birthday this week, blow out the candles and make a wish, you’re gonna need it on this one. I Am Number Four is Rated PG-13.